If you think that your Linkedin Profile could use a bit of TLC then this workshop is the perfect opportunity to improve your professional online presence. The workshop will also give you an insight into how you can use Linkedin to support your business development activities. Our Sales & Marketing Workshop provides you with practical tools to help drive forward your sales – by looking after your current clients/customers and proactively looking for new clients/customers. Join us on either Monday 29th February or Wednesday 2nd March. We limit the numbers in our Workshops so participants get the most from them – so book your place now. Are you looking to increase your sales, but could do with some guidance and new ideas? 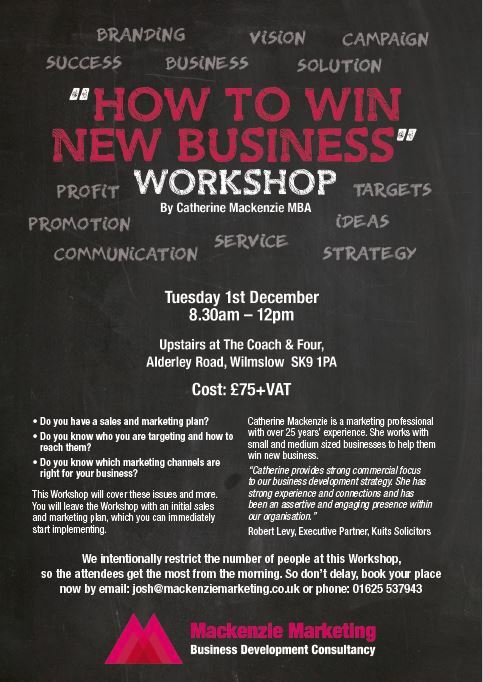 If so, come along to our “How to Win New Business” Workshop on Tuesday 1st December. 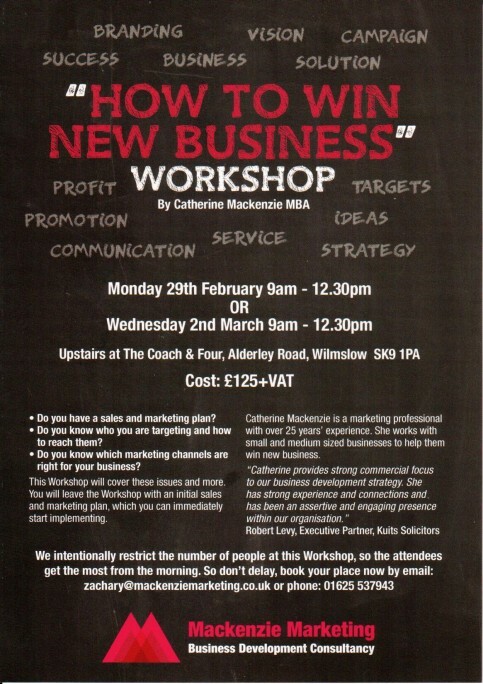 You will leave this Workshop with an initial sales and marketing plan. See the attached for more information. Viral Marketing – What is it? Viral marketing campaigns are, to a certain extent, unpredictable as their success is largely down to grabbing the public’s attention and making them take notice and want to share them online. Viral marketing can make us laugh, make us cry and make us feel shocked – and occasionally all of those at the same time! The whole point of a viral campaign is that it demands a response and is then spread far and wide. Some of the most successful viral marketing campaigns have been almost accidental – think #NoMakeUpSelfie and #IceBucketChallenge which simultaneously captured those parts of us which like to show off whilst also benefitting a good cause, as these campaigns had a charitable element to them. Other viral marketing campaigns have been carefully crafted in order to shock us into sharing them with our friends. For example, LG’s ‘So Real It’s Scary’ and TNT’s ‘A Dramatic Surprise On A Quiet Square’ which both see the companies set up elaborate stunts to scare unwitting passers-by. All of this makes for a series of great hidden camera shots, and ultimately saw the adverts being viewed tens of millions of times online. Another advert which caught the attention of online viewers was that of Evian and their ‘Roller-skating Babies’ This 60 second film was shot as part of Evian’s ‘Live Young’ Campaign to be shown on TV and web video campaign. Evian’s worldwide director said that “they were trying to sell their drinkers a ‘dream’. This advert was a huge hit on YouTube with millions of hits and making it almost hard to escape from ever seeing it. Another video which certainly grabs attention is the “The Man Your Man Could Smell Like” promotional campaign from Old Spice. This short 30 second advert highlights Old Spices’ products with the use of the Old Spice man being ‘Isaiah Mustafa’, The advert was shot in one go and features Isaiah keeping direct eye contact with the camera for the duration of the advert while doing odd activities and in different locations. More viral videos include this iconic moment. On 12th October 2012 Red Bull launched the Project ‘Red Bull Stratos’ which was to help the Austrian skydiver Felix Baumgartner skydive from the outer edge of the stratosphere. He broke three different world records in that one jump, this advert gained significant recognition making it a great success for Red Bull. Viral campaigns can be seen as an incredibly successful way to reach a very large audience. Companies often see them as the Holy Grail of marketing. Whilst they are highly effective, it should be noted that they are not always very precisely targeted and they can occasionally land the companies behind them in hot water. Firms using viral marketing tend to have a brand image of risk-taking and a more adventurous tone to their promotional activity. Whether this tactic pays off however, will ultimately be judged on the resulting sales figures. Following an incredibly successful 12 months with their first apprentice, staff at Wilmslow marketing firm Mackenzie Marketing are now looking forward to welcoming a second apprentice onto the team. 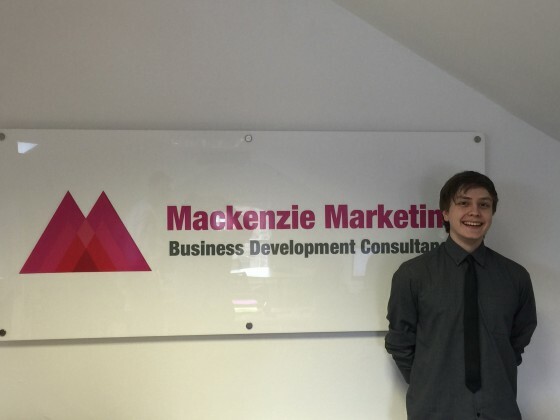 Mackenzie Marketing’s first apprentice, Josh Probert, started working for the company as part of his marketing apprenticeship in July 2014 and has since been offered a permanent position with Mackenzie Marketing. He proved he had star quality when he was recently presented with an Apprentice Academy Star Award in recognition of his work. He has developed a wide set of skills that will help him progress his career in marketing and digital communication, and his experience will now help him act as a role model for new apprentice Zach Henshaw. Like Josh, Zach is also a former Wilmslow High School student and he has shown a keen interest in the technical aspects of handling websites as well as the various IT systems and tools involved in modern marketing strategies. The apprenticeship will be handled by The Apprentice Academy which is one of the region’s leading providers of apprenticeships, based in Manchester and established in 2009. The Apprentice Academy has a track record of working with more than 300 employers to guide talented learners in launching their careers, delivering high quality apprenticeship programmes as well as developing candidates and employers to get the most out of their apprentice experience. Mackenzie Marketing, which also has strong links with Wilmslow Business Group, has been expanding over recent years to offer clients a complete package of business development services as well as marketing support.